Tired of going to the door every time your dog or cat wants to go in or out? Pet doors allow your cat or dog to come and go as they please. Pride pet doors come with a tough long-life flexible rubber panel. They also have permanent magnets to keep flap closed which eliminates drafts or dust. 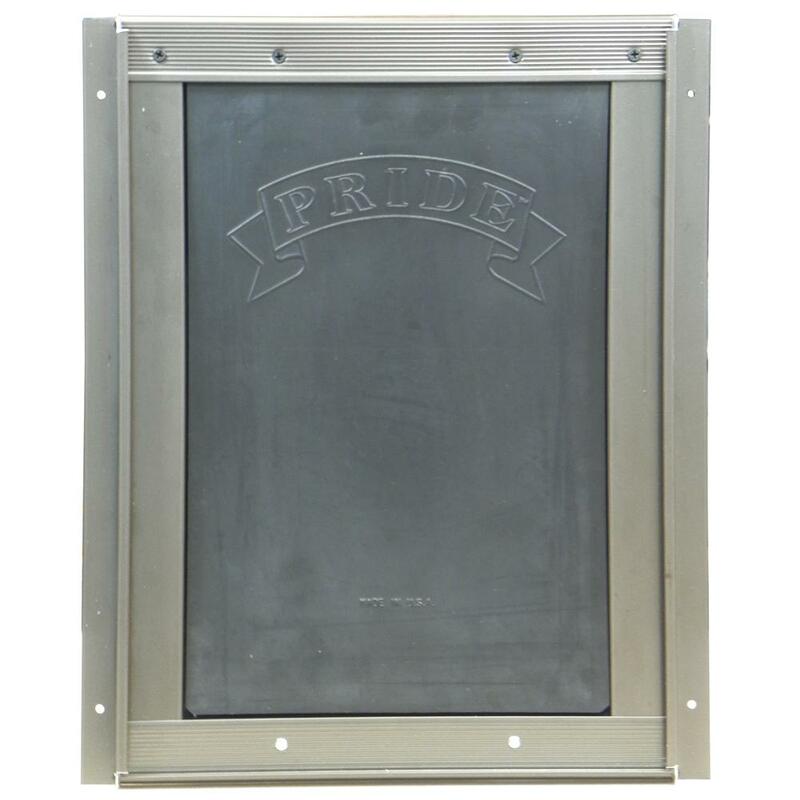 They have a sturdy extruded aluminum frame with an anti-corrosion bronze finish.. A rigid hardboard security panel slips easily into guides on the inside or the outside of the frame door to lock pet inside or outside, and for added security. Can be installed in doors or walls. Outside dimensions 12-3/4 x 15-3/4 inches. Door opening is 8-1/2 x 12-3/4 inches. Flap size 10-1/2 x 14-1/12 inches.